Special tool designed to assist in making knots. This tool has a thicker handle than the CT. The handle/barrel end of CTH is now designed for making knots with #36 twine. 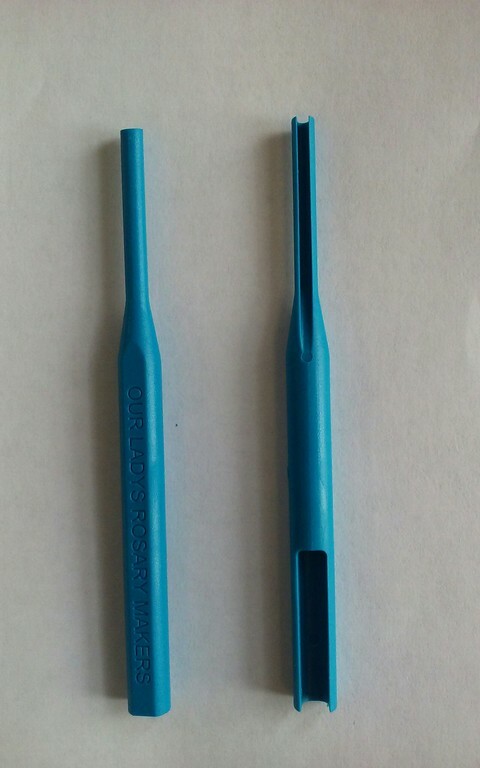 2 in 1 tool for both beaded and knotted twine rosaries.